Affiliate Marketing 101 Blog What's New? One of the most frequent questions that I get asked by many newbie niche marketers is how to choose a good domain name for their website. Don’t worry. You are not alone. I worried about the same thing too when I first got started. That is why I wrote this post. These are a few guidelines that I follow when choosing my own domain name and hopefully they can guide you in the right direction with your own online business. Remember, the basic idea behind your website is that you want to avoid confusing any visitor that comes to your website. Once all of your posts are online and everything is working as it should be, this really shouldn’t become a problem. However, say your website bears the domain name: 18Plus-Nite-Moviez.com, this is going to become confusing for many of the visitors to your site. What is worse is that if your link is not working properly and word of mouth spreads around about it, it is going to take some time and a lot of explanation to get the name of your domain correct. Dashes are exactly the same. While the website awesomestufftobuy.net seems pretty straight forwards, it suddenly becomes confusing when it is changed to awesome-stuff-2-buy.net. Not to mention that it becomes a little confusing to say. Even case studies have shown that websites that contain dashes tend to rank lower in search engines. Not sure what EMD stands for? It stand for Exact Match Domains. AN example of this would be a popular brand name such as Pepsi or Nike. Basically they are works that don’t really mean anything but are often associated with specific products. Before 2013 EMD domains ranked really well for that particular keyword within the domain name. For example the domain highqualitypepsi.com used to rank extremely well and easily when some searched for the keyword High Quality Pepsi Products in the search engine. As a direct result of this people back then went wild as they created a ton of low quality domains that could rank for these particular keywords. 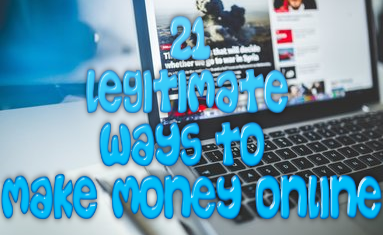 They even made a ton of money with these kind of sites, myself included. However, this year Google’s latest algorithms caused many of these sites to lose their ranking. Yes, even mine. While this stirred up the online marketing community a bit, people began saying the EMD domains no longer ranked well within the search engines and that you were more prone to having your website banned by Google. This is absolutely NOT TRUE. An EMD domain will still rank similar to other domains. It just needed time for the dust to settle from the latest Google update. What do I mean by all of this? I mean that yes, you can still choose between an EMD or brand name domain if you wish LOL. Why Should You Choose An Exact Match Domain? While an EMD domain will give you the most advantage of ranking for the keyword that you want, it will mean nothing if you can’t drive high quality traffic it to by targeting low competition, high traffic keywords in your domain name. By choosing a domain like this it means that you could easily gain a ton of traffic fairly easy. There is also the added benefit that people will know immediately what your website is all about. For example if you are looking to research dog food reviews and want to actually learn more about pet nutrition, and you stumble upon a website titled, whatisinyourpetsfood.com, well…it shouldn’t take a rocket science to figure out that you have landed somewhere that you wanted to be anyway. Why Should You Choose A Brand? A brand name can be used in a variety of different places and can be used for a variety of things. First off it is more versatile to use because a brand name doesn’t mean that is has to be associated with a single product or service. The great thing about a brand is that you can mold it to anything that you want it to become. For example let’s say you decide to start of by going into the niche of winter sports but decide that you want to expand your niche to cover and entire season of sports, you can easily do it without anybody being the wiser. For example when I first started my pet food site, my initial niche was holistic dry dog foods. I have expanded upon that now and have included holistic dry cat foods along with both raw and wet food for both species and nobody had any idea. Choosing a brand name for your own website can give you added authority. This is not something that I can prove as FACT, but I can prove that it does have some kind of effect on the visitors that come to your website. The moment that you have a custom logo made for you and get every kind of social media account linked to your site, you will soon become known for your brand name, not just the products that you promote. This is where a long term strategy can come into play to ensure long-term success. My domain name MakeRealMoneyOnlineFree.com only cost me $11 for the entire year. I built a brand using my domain and I knew building that brand meant committing several years of work. This was the site that I first began building my brand name and I have to say that it worked out in my favor. I was confident that the quality of the content I offered would impact the brand of my site domain. With all of that being said you can see that I really didn’t struggle too hard to find my domain name. I think I took all of 20 minutes figuring out what it would be and I was lucky enough to grab this domain before somebody else did. So, What Is Best For All of The Newbs Out There? 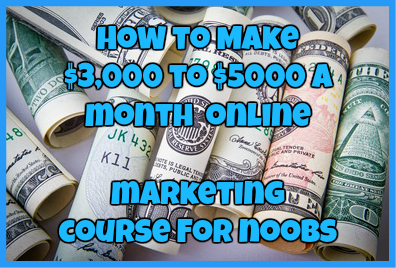 To be honest when it comes to newbies I believe it is easier for you guys to start by using an EMD and to find a niche that is low competition, but has high traffic keywords that you can target. Feel free to also choose a broader niche as that will help you to have some elbow room to work with if you ever feel like expanding upon your niche. However, one of the things that I have recently noticed is that you guys tend to stress over finding the right keyword for your domain. So, if you ever find yourself stressing out about this, just pick a brand domain and put your name in the domain itself. However, I wouldn’t stress too much about it all right now. Somewhere down the line your entrepreneur brain is going to wake up and pretty soon you are going to have a million different ideas buzzing around your head and that you will be itching to try out for yourself. Remember, having the perfect domain name is not going to make or break your website. Pick a domain name that you like and move on. In the end YOU are going to be the person that owns your domain. It is not only website, but also your brand and your business regardless of what the name may be. The most important aspect of your site is going to be the content that you put on it. People will be reading it and that is all they will really care about. However, this is going to help you in the long run by making you a couple of sales here and there. A good domain name with no content will not make you a cent. A bad domain name with high quality traffic is going to be the one that starts you on your path to financial freedom. I hope that answered any questions that you may have about finding a domain name. Choose a domain that you like and move on. That’s it! ← SurveyClub.com Review: Another Legit Paid Survey Site? How To Make Money Dropshipping: Is It Even Possible? The question of how to choose the perfect domain name is really very important and relevant yesterday, today and tomorrow. What to do, how to choose – this question has already been answered. Enough information for the novice and the guru. But there are small details that simply missed. I want to share my experience with You to help You avoid mistakes when choosing a domain name. Experience, with the right choice of domain I bought in 2012 when I built my first website. At the time, I did not know about the importance of the issue and yet, I was lucky, I came up with a great domain name but realized it after a while. So, here are my recommendations. First: Relevant today, tomorrow loses its relevance. It is necessary to consider the moment You choose a domain name. Your domain should be universal. Universal domain, this is when You can easily change the direction of the resource to provide services, sell products, etc. Second, You came up with the name, then, write the name in the search bar of your browser and hit “search” if the search does not find a match – Your name is unique, which is very positive for the promotion of Your site. Only two, in my opinion, important, additional recommendations. I hope they will be useful.